On February 22- 24, OZ Arts is all about the ladies, and you don’t want to miss a great chance to join their celebration of women. We know, we know – there are certain staples of ladies night, and you’ve done them all before. Sure, two-for-one appletinis are fine, and a night out with your besties for a movie or mani/pedis is great. But let’s be honest – women are amazing, and so much more than you could ever capture with a couple drink specials or spa days. In every stage of life, they are leading, innovating, and making the world a better place. OZ Arts and New Dialect are demonstrating exactly that with a pair of performances that celebrate the strength and resilience of women of all walks of life. The Triangle was created by artistic director Banning Boulding, who began exploring new methods of choreographing after she was diagnosed with a debilitating neurological disorder. The result is a surrealistic work combining conceptual fashion, sculpture and powerful imagery that reframes challenges as opportunities to discover new skills and strengths. This moving performance personifies the indomitable female spirit. Girls is a take on choreographer Roy Assaf’s response to female stereotypes. 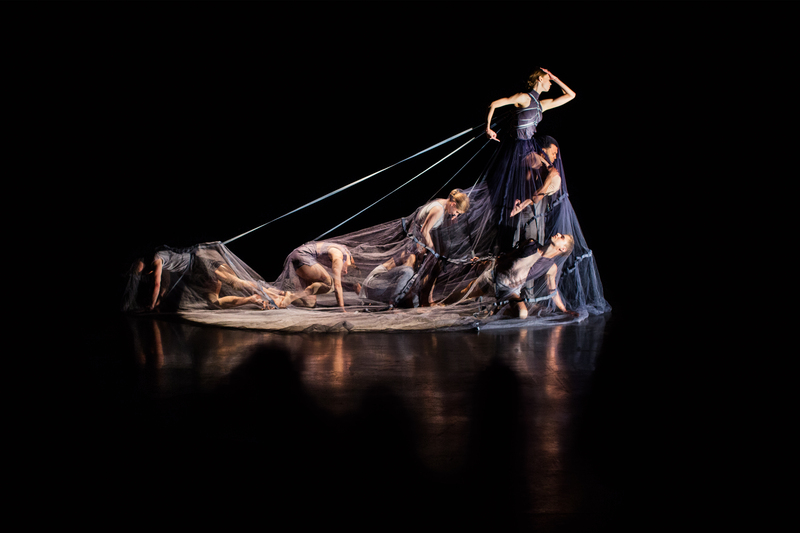 Assaf, a father of three daughters, created a multifaceted vision of contemporary women in society with intricate and thoughtful choreography illustrating timeless themes. The OZ Arts performance is the U.S. debut of this stunning program. Here’s the best part – this ladies’ night is not just for women! Are you a woman? Were you raised by one? Are you raising one, maybe married to one? Have you ever seen a woman? If you answered YES to any of those questions, you’ll be enthralled by the embodiment of the strength and beauty of women as presented by New Dialect’s performance of The Triangle and Girls at OZ Arts. Next articleImprove Your Golf Game With Buddy Harston’s Mental Game Workshop!